The third edition of Marina Genova’s XMaster event got underway on November 30 with participants enjoying a packed Christmas themed agenda. 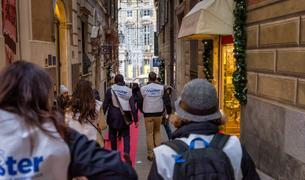 The event, which celebrates the history, culture and food of Genoa, was attended by leading players in the international yachting industry and supported by the likes of Burgess, Engel & Volkers Yachting and Fraser. Boat International was the media partner of the event. The festive day got underway with participants arriving at 11.30am to enjoy a Christmas themed brunch and briefing of the event. They were then challenged to undertake a treasure hunt through the narrow streets of the UNESCO protected historic city centre, where they were led to taste local dishes and admire art. The treasure hunt was followed by a gala dinner at the famous Palazzo della Meridiana, one of the beautiful 16th century Rolli Palaces. 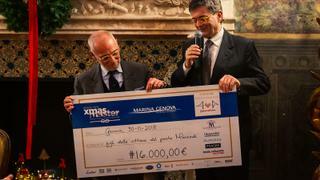 The day culminated in a donation of €16,000 being presented to the deputy mayor to help the children of those who died in the Genoa bridge disaster in August this year. Located five minutes from Genoa’s Christopher Colombus airport, Marina Genoa is equipped with three large docks and 500 berths, 100 of which are suitable for yachts measuring between 30 and 130 metres.